1 package cinnamon or honey graham crackers (about 9 long/large crackers) Or any kind of biscuits. Begin by twisting the lollipop sticks until they are securely in the middle of the marshmallows. (Insert them on the flat, not rounded, side of the marshmallows. Then push them in until they almost pop through.) 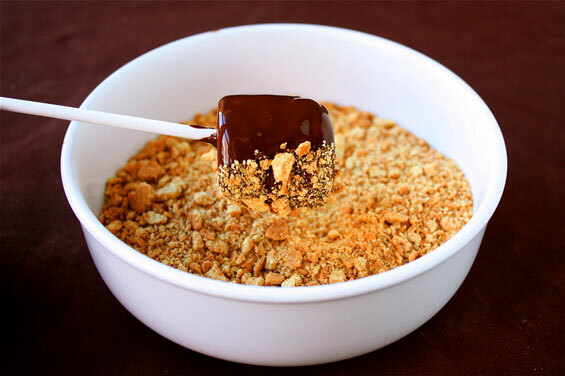 Then place the graham crackers in a strong ziplock bag, and use a rolling pin (or whatever you’d like) to crush them until they are finely ground. Then place them in a small bowl. Then heat the chocolate chips in a double-boiler or (carefully!) in the microwave until they are melted and somewhat runny. 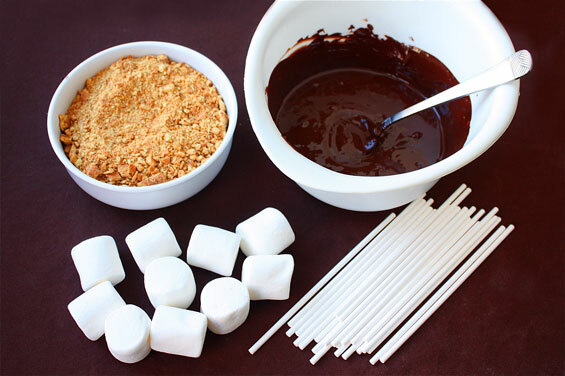 While holding the stick, carefully dip a marshmallow in the chocolate mixture until completely covered. 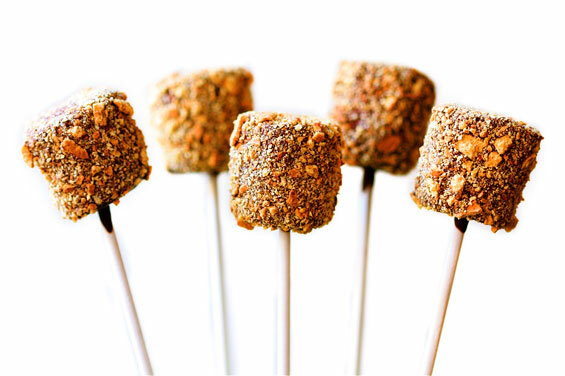 Then gently roll the sides and top of the marshmallow in the graham cracker crumbs until they are well-coated. Place on a plate or on wax paper to let cool and dry. Repeat with remaining marshmallows.